A presentation about N.I.P. by Teresa Dillon (UK). N.I.P. is an interdisciplinary touring presentation, network and workshop series, developed by Teresa Dillon of the Bristol based media arts and research collective Polar Produce. As an artists lead initiative, N.I.P. currently exists as a three-year project and involves twelve artists drawn from across the UK, The Netherlands and Portugal. 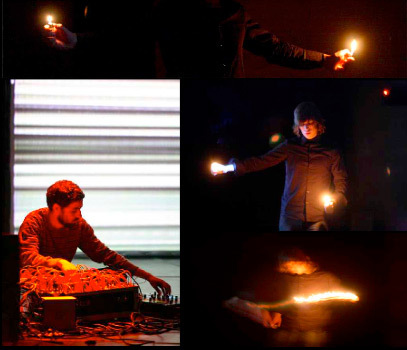 The current focus of the project is on gesture and movement based interfaces within live performance and interactive, mixed media installation.